It's the Holiday Season and I could not be more thrilled to be expecting, at this time of year! While being a first-time expecting mother means that everything is new, what no one prepared me for was the extent of how careful I had to be about everything I ate and product I used. Wanting to make sure my new little one is taken care of, I have gone out of my way to use the best quality, and most natural, products available.They also make me look and feel my best! 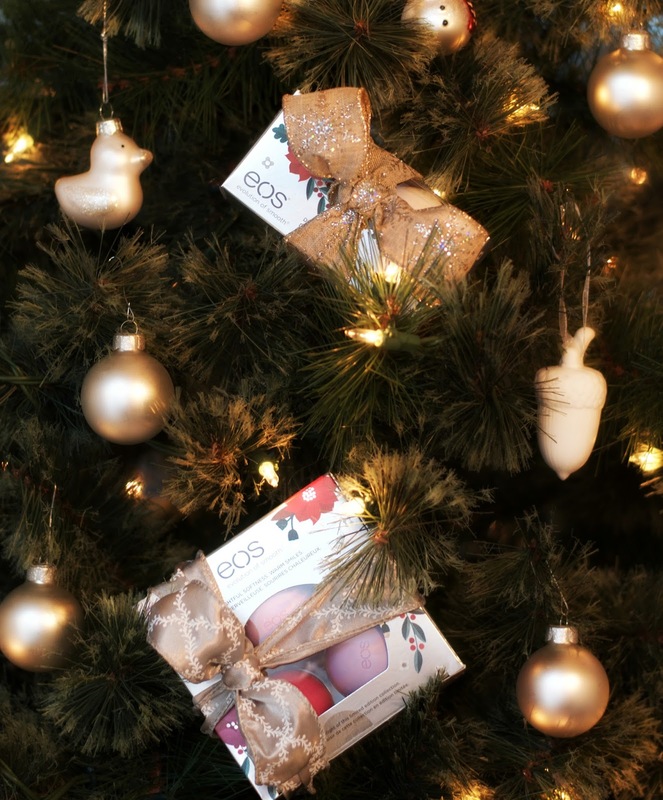 And, one of my fav natural products has been eos's lip balms - especially eos's new limited edition holiday packs. I fell in love with how amazingly moisturizing they are, which is especially important as the temperature starts dropping. And, the smooth sphere packaging is not only super cute, but also makes the lip balm much easier to find in your bag! I also love their new flavors: Winterberry, Wildberry, Passion Fruit, Honey Apple, and, my fav, Vanilla Bean. Most importantly, they are also 100% natural, 95% organic, gluten-free, paraben-free, petrolatum-free, phthalate-free, and non-GMO. When I find a product I like, I make a point of sharing them with my loved ones. 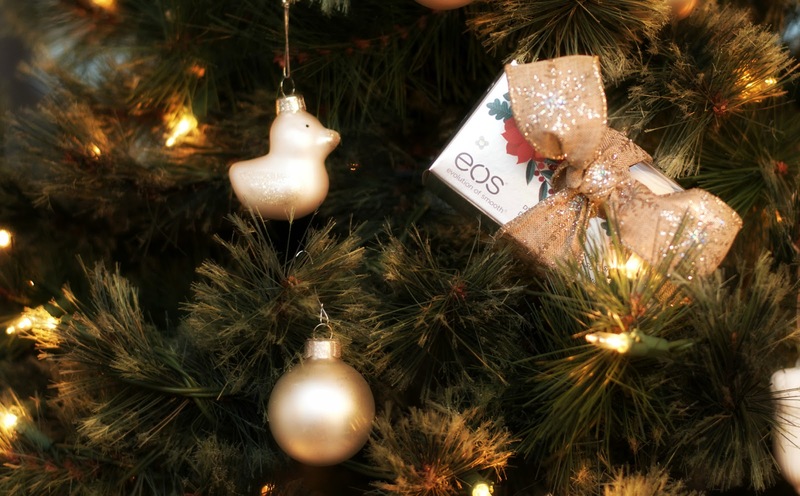 These cute little packs would make for excellent gifts for so many people in my life - so, friends, be ready to receive eos lip balms in your stockings, this year! So this Holiday Season why not treat yourself (I did), or your friends and family, to soft lips. 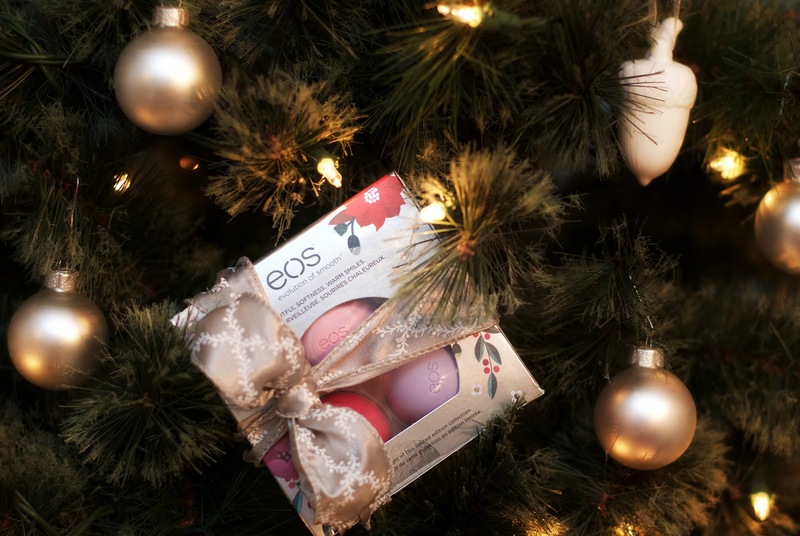 eos lip balms totally help me look and feel my best, and the limited edition packs make for perfect little gifts to your loved ones. Thank you so much Heather you are too sweet! Beautiful photos, you're such a gorgeous woman and I've loved these festive and glamorous photos! Thank you so so much Natali! Thank you so much Hera!